Can your bot find your opponents sequence faster than they can find yours? Code a bot to play the classic game of mastermind. If you are not familiar with the rules of mastermind full details can be found here. 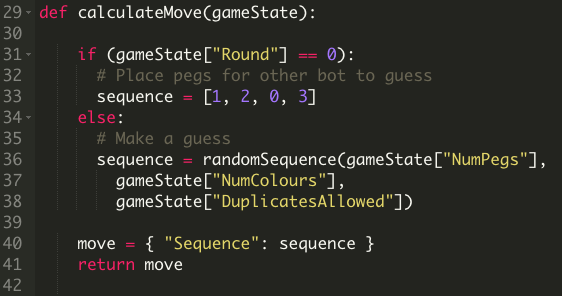 Enter the competition by selecting the opponent housebot-competition and game style 6003 where you will be trying to guess a 6 peg, 12 colour combination before our housebot guesses yours. Your performance will be tracked on our leaderboard where we will record the number of times you beat the housebot as a win percentage, the higher the percentage the higher you will appear on the leaderboard. You will need to play a minimum of 50 games to qualify and until that point you will not appear on the leaderboard unless you click to see all entrants. You can also enter as many times as you want so if your not happy with your first attempt you can just enter again using another bot name on the same account. You can simply go to our website and start coding in the Online Code Editor. No download required. The editor has some template code that shows you the basics of the game. You can start the code and see it working without changes. Read through the template code and incorporate your own strategy. With the use of predefined functions, you can easily create a strategy that beats the housebot-practise bot. Prize breakdown - Twelve chances to win! Bots must play at least 50 games of style 6003 against the opponent named housebot-competition. Only games played between 23/04/2018 12:00 GMT and 07/05/2018 12:00 GMT will count towards the prize competition. A maximum of one prize will be awarded per user account, however you can enter as many times as you want under different bot names. 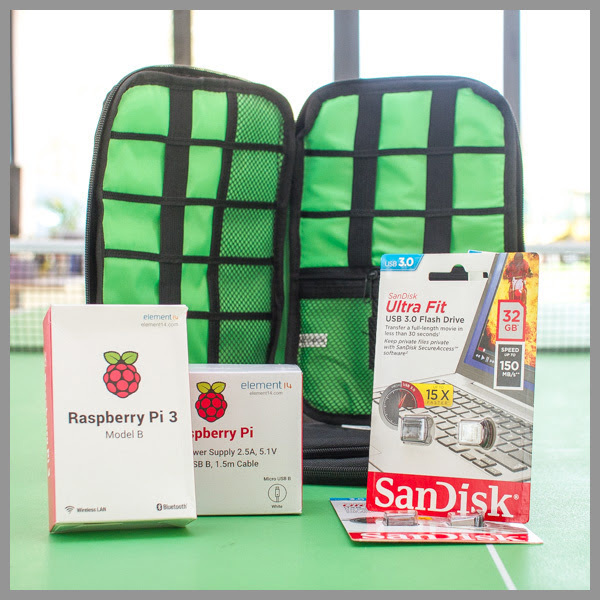 The user which owns the bot which demonstrates the best win average against housebot-competition will be awarded the first prize of a Raspberry Pi 3 Model B. We reserve the right to examine the code if we suspect two or more entries have been made on two or more accounts but are actually just one entry. In the event of a tie the bot that manages to guess the housebot's secret combination in the least number of guesses in any single game will be awarded the higher place. The organisers reserve the right to change the terms of entry or award of prizes for any reason including, but not limited to: system errors, internet connectivity issues, etc. You are not a resident of Cuba, Iran, North Korea, Sudan, Syria, and the Region of Crimea; as U.S. export regulations prohibit the export of goods and services to these countries/regions and are therefore not eligible to participate. You are not involved in any part of the execution or administration of this competition. You are not an immediate family member of (parent, sibling, spouse/domestic partner, child) or household member of any person involved in any part of the administration and execution of this competition.